Here's something I haven't done in a while: a one-off podcast. In other words, this isn't the start of a multi-episode, multi-month exploration of one battle/war. 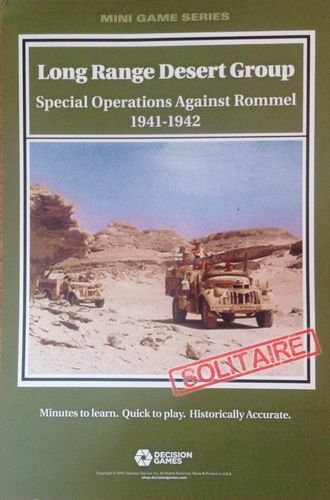 Instead, this is a single episode about (mostly) a single topic, WW2's Long Range Desert Group. 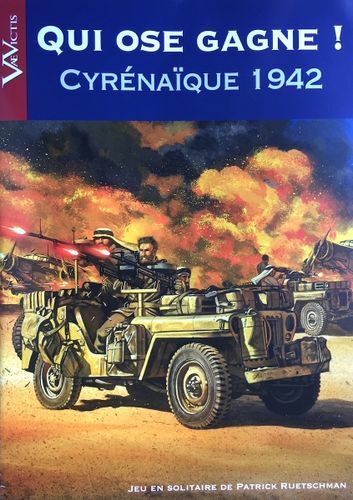 I vaguely remembered hearing something about history, then earlier this year the French wargaming magazine Vae Victis featured the LRDG in their issue game. It was a small, solitaire design, and I tweeted about how I was intrigued. A friend recommended a book to read about it, and soon I discovered another solitaire game on it. That was enough for me--it sounded like the makings of a podcast episode. This episode also features an interview with wargame designer David Thompson. He created Pavlov's House and has Castle Itter coming up next, both published by DVG. As you'll hear, he's got some other games on the way from other publishers, too. In fact, his interview is primarily about what it's like to get a wargame published, particularly the part about pitching a project to a publisher. He's researching the LRDG himself for a project, so the interview was perfect timing. Next I'm going to start playing some WW2 East Front games. It's an enormous topic, one of the centerpieces of our hobby. My knowledge about it is fairly limited, but I'm learning a bunch already. Also, I've naturally got quite a number of wargames on the topic already. With a subject this large, there are several smaller options out there, just like I prefer. I'm starting with Frank Chadwick's introductory classic, Battle for Moscow. I've started a geeklist about with these games, too. If you're not a Twitter user (or don't follow me), but still want to see my photos and short videos about some wargames, just go to http://www.twitter.com/WargamesToGo. Feedback here or there is always welcome. At long last, the interview with author and game designer, Joe Balkoski. He's been on my podcast before, when we talked about The Korean War. At that time we made plans for his return when I dove into D-Day games. Besides designing some notable games on the subject, Joe has had an entire second career (his main career, really) of writing books on the subject. 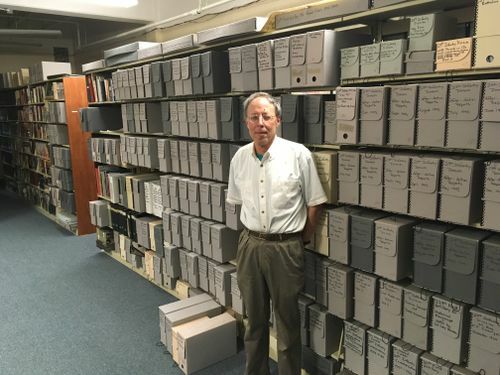 It's no exaggeration to say he is the definitive expert on US 29th Infantry Division and it's actions on Omaha Beach and beyond into Normandy, the rest of France, and Europe. I had the opportunity to interview Joe, and this time it wasn't at the end of a Skype line. This time I was able to meet him at his workplace, the home of the Maryland National Guard at Baltimore's Fifth Regiment Armory. It's right there on 29th Division Street in downtown Baltimore, and you'll hear what a fortuitous role it played in Joe's life. With this episode, I'm wrapping up my drawn-out series on D-Day. After the Balkoski interview I talk about some battle games played that were "beyond the beachhead," covering the Battle of Mortain. As well as a few titles that don't have anything to do with D-Day at all: they're in here because my trip to Maryland/Virginia included some local sightseeing and inspired the play of these other games. I've had a little more time to think about what makes or breaks a good, short, small wargame. I'll share my thoughts, and would especially welcome any discussion on that subject. If you're not a Twitter user (or don't follow me), but still want to see my photos and short videos about some wargames, just go to http://www.twitter.com/WargamesToGo. Feedback is always welcome. A solo episode this time. 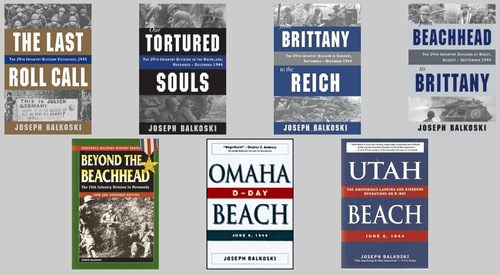 That interview with author and designer Joe Balkoski is still coming, but not quite yet. He's got the little matter of his own retirement and a well-deserved vacation to deal with first. Ok, no problem, I just recorded this episode to record more thoughts about a variety of D-Day games I've played. Then I get to share my own travelogue from my visit to Normandy in 2014. Playing those games, it got me thinking about smaller wargames, in general. Every so often there's a discussion posted online (here on BGG, perhaps in the wargaming twitterspace, or something else) where a gamer asks if there are any good, shorter wargames out there. YES! There are LOTS of them. These are the games I seek out. 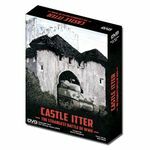 However, they often are less well known, because for many years the hobby has focused on the beefier end of the spectrum when it comes to wargames. It's easier to find monster wargames (see? they even have a term for it) than shorter ones. Yet the shorter ones are out there. New wargamers tiptoeing into the hobby may ask for them, but just as often it's an experienced wargamer who still wants to enjoy the hobby but cannot host weekend-long setups any longer. Weeknight Wargames is what I tried to call them. Ones you can play in 1-3 hours. Whatever they're called, they can be found. One of these days I need to make my own geeklist with suggestions. When I do, I'll link to it here. 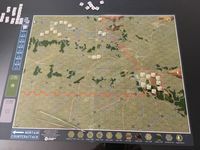 If you're not a Twitter user (or don't follow me), but still want to see my photos and short videos about some wargames, just go to http://www.twitter.com/WargamesToGo. Remember to follow along & chime in on my geeklist/discussion) for all of my Korean War explorations. If you're a wargamer on social media, follow me on Twitter (@WargamesToGo). Feedback is always welcome. In this episode I briefly mention the books & movies listed below, talk about my recent time at GMT’s Weekend at the Warehouse, then dive into the extensive geeklist of games I aspire to tackle on this subject. I never get to ALL of them, but already I’ve made more of a dent than I’d hoped. It helps that there are SO many D-Day/Normandy games to choose from. That includes some famous biggies, but also quite a number of smaller wargames, as I prefer. There’s no historical intro to the subject this time—-I’d feel silly doing that, and assume all wargamers geeky enough to seek out my podcast already know plenty about this famous battle. I did, too, but have been very pleased to learn a lot more details that previously escaped me. Especially about the fighting in Normandy to expand the beachhead and create the breakout. Operations Goodwood, Spring, and Cobra are exciting parts of the story I knew less about before this podcast. To wrap up my series on the Korean War, I've got a shorter episode featuring just me talking about the games I played. I never get to as many as I'd like--my geeklists are aspirational and for reference rather than predictive!--and the same is true of movies. Nonetheless, my exploration of this subject has been a satisfying one. I went into it not knowing much about the conflict that inaugurated the Cold War, and the defining historical event of my father's generation. Between games, books, movies, magazines, and other podcasts, I now understand considerably more. What I enjoy most of all is that I feel like I "get" the overall narrative arc of this piece of history. There's the war itself, with its milestone events (invasion, retreat, Pusan perimeter defense, amphibious invasion to the rear at Inchon, reversal of the invasion, Chinese intervention, retreat from the Yalu and escape from Chosin...). There's also the political machinations going on from the end of WW2 to this episode. Once again, I'm struck by how much I enjoy the old/traditional style of wargaming, with its hexmaps, ZOCs, OOBs, and reinforcement schedules. Even plain, old IGO-UGO rules systems. I recognize those systems have their limitations, but they really help me learn more about a subject. In a related way, I confirmed for myself that I don't really care for tactical systems. When they include the things that are necessary at that scale (LOS, opportunity fire, etc. ), I just find that the game rules get in the way of my appreciation of the game and its depictions. And if you want to anticipate my next podcast series on D-Day, check out its own geeklist. This quarter I finally get to tackle a subject that's been on my to-do list for years: the Korean War. I wanted to this topic because of a connection to my father, and because I previously knew so little about it. 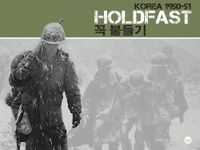 Several years ago, when I was just getting back into wargaming after a long hiatus, the military history book club run by Hungadunga here on BGG read The Coldest Winter, by David Halberstam. I was blown away by the story. As the nickname goes, the Korean War was kind of The Forgotten War for me. Except that I'd never really learned much about it in the beginning to forget. Thanks to the book and discussion here at BGG, I learned a great deal. My dad passed away one month ago, as of the date I'm writing this blog. He didn't share my love of wargames, but he DID instill my interest in military history. We watched many PBS and History Channel programs together, as well as war movies. We talked about history and politics. The Korean War was from his era, when he served as jet engine mechanic for B-47 Stratojets in the USAF. No, those jets didn't fly in that war. They came just after. They were the United States first strategic jet bomber. The momentous first year of the Korean War coincided with my dad's senior year in high school. I'm sure he & his buddies were thinking about their futures as they heard and watched news stories about the retreat, advances, more retreats, and bitter winter fighting for the Army and Marines. A separate USAF was itself only three years old when the Korean War broke out. He went to college for a couple years, then enlisted in that new Air Force. My dad went through basic training during the war's final months, and the armistice was signed shortly after. That makes him a veteran of the Korean War era, rather than the war itself. Instead, he & his generation were the first "cold warriors" of General Curtis LeMay's Strategic Air Command. Consequently, besides a long list of games that cover the ground and air war in Korea, I'll also be exploring a couple titles that include the B-47. It was never deployed in combat--good thing since it had been designed for a nuclear WW3--yet there are some alt-hist games that include it. Doing that is a nice way to still include my dad in my hobby, and even share him a little with my listeners. Many of you have probably gone through something like this. In our case, we are fortunate in that it was a peaceful passing, and we had many good years together. I sure miss him, though. The Korean War is hardly forgotten when it comes to wargames and movies, I'm finding. Although there are far fewer games on it than WW2, Napoleonics, or the ACW, there are still many great choices for me to investigate. Besides big games that I won't get to, there are smaller games covering the entire conflict, or individual battles. There are others about the air war overhead. Of course, there are several treatments of MacArthur's brilliant Inchon invasion, as well as his misjudged provocation of Communist Chinese forces. As for movies...well, this is one subject where I cannot even watch all of the choices. There are too many! 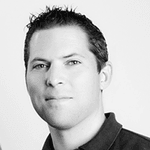 At the end of February, I plan to feature an interview with designer Joe Balkoski. I'm also starting to think about who I might get for the final Korean War episode in March. Suggestions are welcome. This month's episode brings my French & Indian War topic to a close. As always, it's been very rewarding to dig a bit deeper into a piece of history I thought I knew something about...only to find more layers and connections to the past & present. Even though my time living in Paris is six months behind me, I knew that picking this topic would be a great transition from my somewhat deliberate French-focused outlook of 2016-2017 into the broader world again. That's exactly how it worked. In learning about the F&I War, I chose to focus on the New France part of that story, particular the two centuries of history that came before the Fall of Quebec. I guess you could say I was focusing the "F" in the F&I War. I only scratched the surface of the "I" part. Not surprisingly, the political and cultural history of the native peoples in this region--and their ever-adapting interaction with the arriving Europeans--is a topic all unto itself. Frankly, that's the sort of story that can sometimes be told better by a sophisticated euro, since it involves so much more than military subjects. As far as I know, there isn't a game on that topic, though Mound Builders may be the closest. I own that, and look forward to playing it sometime. A feature of this episode is my interview with designer Martin Wallace. Probably best known for Age of Steam, Brass, and London, you can tell right there that he's not your average eurogame designer. He's his own thing. Martin's games have always had a heavy dose of history, often political and economic history. It should be no surprise that his designer's eye looks over topics of military history, too. 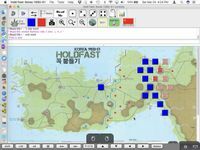 He's now designed a fair number of wargames, all of them innovative and worth a look. His designs don't come from a hex & counter system, a COIN system, or indeed any established system at all. A few of them share common rule systems, but most are unique. Though it's a problematic term (because no one knows exactly what it means), they are often euro-wargame hybrids. Which is right up my alley. 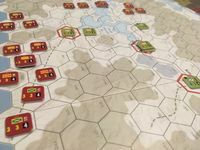 When Martin's A Few Acres of Snow was released in 2011, it took a new game design mechanism called deckbuilding and applied to a very specific subject, the French & Indian War. For me, it was love at first sight, and I've never looked back. What a thrill to be able to talk to Martin about it, as well as his general thoughts about wargaming. Since this is the final episode in the series, I wrap up by talking about the F&I War games I actually played, books, podcasts, and movies. Then it's time to move on to the subject for the next quarter, and planned three monthly episodes: the Korean War. • Thread: Why did New France have so few settlers? Remember to follow along & chime in on my geeklist/discussion) for all of my French & Indian War explorations. If you're a wargamer on social media, follow me on Twitter (@WargamesToGo). Feedback is always welcome. And if you want to anticipate my next podcast series on the Korean War, check out its own geeklist. Two months in and I'm really liking this new schedule of a quarter per topic. Those 90 days feel like enough time to dig into a subject, but also to keep moving so that I get to explore several throughout the year. I'll stick with this for the foreseeable future, and in this episode I share what some of my future topics will likely be. The main feature of this episode is another interview with designer Volko Ruhnke. I say "another" because he was on my podcast a year ago to talk about Alesia, while this time he's on to talk about the French & Indian War. Though he's probably best known now as the originator of the COIN system, Volko's first published design was a CDG, Wilderness War. We get to talk about that, as well as an entirely new game system he's working on. I don't know if this is a "scoop" or what because I had not heard of this before, and cannot find anything else about it online. Enjoy! 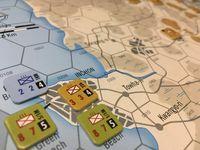 Volko tells about this new system in the context of describing the time he had playtesting games at San Diego's wargaming convention, SDHistCon. I missed going this year...maybe I should make it a priority in 2018? One of the reasons I didn't make it was that I went to another gaming convention in November, Boardgamegeek's BGGcon. This was my fourth time, having been to the very first (2005), and then three of the past few years (just missed when I lived in France--2016). Although primarily a eurogame event, I'd say perhaps 10% of the gaming is wargaming. Since BGGcon is such a large event (2500+ people over 4+ days), even 10% is quite a bit of wargaming. I did some of that this time, too. I've got one more designer interview planned for the final F&I War episode, next month in December. At that time I'll also recap the games & movies I've enjoyed. Then we'll put a bow on 2017 and look forward to the new year. In the final quarter of 2017 I'm concentrating on the French & Indian War. This first episode is an introduction, giving me a chance to take my listeners along for this ride in history. Perhaps you'll jump onboard and experience some of these games or movies with me. Hand-drawn map by George Washington, accompanying a printing of the journal he kept of his 1753 expedition into the Ohio Country. I realize that what I'm calling the French & Indian War is really the North American theater of the Seven Years War (sometimes nicknamed World War Zero), when France and England battled for global dominance throughout the newly expanding colonial world. There were conflicts in mainland Europe, too. I'm not exploring those--I'm just looking at the conflicts of Quebec, Fort William Henry, the forks of the Ohio, the siege of Louisbourg, and so on. However, my reading about the French & Indian WAR (singular) has quickly reminded me that this conflict from 1754-1763 was preceded by a few other wars between roughly the same sides: English colonies versus the French & Indian-allied forces. I have a suspicion I'll be looking into those, too. One thing that jumped out at me when I created this subject's geeklist is how many good light/short/hybrid wargames there are on it. From Quebec 1759 (Columbia's first block wargame in 1972!) to A Few Acres of Snow or 1754 Conquest (published in 2011 & 2017, respectively), there are a bunch of great choices for wargamers like me that prefer the lighter end of our hobby. 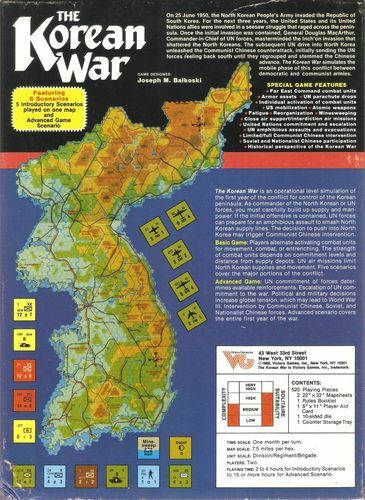 I'm still curious about larger hexmap wargames, and the famous CDG on this topic, too. Map of Louisbourg and its artillery batteries in 1751. In the podcast I get to talk about the games I saw & played at the recent GMT Weekend at the Warehouse event, too. This is practically in my back yard (a 3-hour drive), so I hope to continue to go to this event once or twice per year. Next month I'll also be going to BGGcon in Dallas, where I'll be playing both wargames and euros. Hope to see you there! Say hi and ask for a podcast button to display proudly! This 1797 engraving is based on a sketch made by Hervey Smyth, General Wolfe's aide-de-camp during the siege of Quebec. A view of the taking of Quebec, 13th September 1759. It's been an interesting couple months, delving into the Franco-Prussian War, including the events the led to it, and the after effects. It definitely feels like a historical pivot that transformed the Europe of Napoleon's time into the European political landscape that we still know today...and one that had such tragedy awaiting it in the 20th century. However, it wasn't a World War. It wasn't even a war that engulfed most of Europe as the Napoleonic ones had. This was contained, with neutrality and borders respected. I have the pleasure to interview Charles Vasey again for this episode. 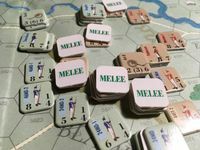 He designed a game about one of the war's most famous battles--but one that's tricky to treat with traditional wargame design & play thinking. Although now it's easy to find his game in issue #24 of Against The Odds magazine, in the 1990s it was a DTP/PNP title, back when those took more work to find, acquire, and enjoy. Before its time! It was a great opportunity to speak with Charles about his game, and more generally about innovation in wargame design. As usual, my ambitions to play many games on a topic exceeded my available time. That's ok. Some I played all the way through, others I set up and studied the rules, and some others I merely purchased (or already had)! I remind myself that this is my hobby, not my job. While it would be fun to keep exploring this topic, there are so many wargaming subjects I've yet to explore that I have to move on. Charles mentioned that there didn't used to be very much literature about the FP War in the English language, but this has changed in the past twenty years. That has enabled a flowering of good games on the subject, too. As for the film, though, the pickings are still slim. On the other hand, that obscurity led me to find different films & formats that were interesting discoveries in themselves. I think you'll hear in this episode how I'm coming to embrace the fact that the games themselves are a jumping-off point for me for a topic. It was where I started, and the hobby remains the core of my historical interest. However, as I've gotten back into wargaming for the past several years, I'm realizing that I'm energized by learning and thinking about these topics for a few months, exploring them through various "media" (wargames, movies), considering their impact on world history, and then moving on to another subject. Very rewarding. P.S. The first weekend in October I'll be at GMT's Weekend at the Warehouse event in Hanford, California. Later in November I'm returning to BGGcon in Dallas, Texas. If any listeners go to either of these events, too, please track me down and let me know. I'd love to hear what you think. (I may be part of a podcaster panel discussion at BGGcon, too. Details are still being worked out.) I'll have buttons/badges for both of my podcasts that you can pin to your shirt, game bag, or whatever. Jump onto my geeklist/discussion) for the next subject of my podcast, the French & Indian War. If you're a wargamer on social media, follow me on Twitter (@WargamesToGo). Feedback is always welcome. Now that I'm back for good and getting a handle on things, I want to try returning to an earlier "format" I had for the podcast. That is, a small series of shorter episodes on each topic while I'm exploring it. That way, I don't excite my listeners about a topic just as I'm leaving it behind (the way it happens with those longer, mega-episodes). I did this a few times before, and I'm trying it again. I'd appreciate feedback on this approach. My one "leftover" topic from my time living in France is the Franco-Prussian War. Twelve months ago I took several games on this topic with me overseas, but I didn't get to them until I moved back home. That's not to say that I didn't see a few sites that relate to the war in some way, or didn't think about it while I was there. I did. However, the games I'm just getting to. The FP War is one of those topics I only had the slimmest of notions about before I became a historical wargamer. I knew the approximate time period, that it led to German taking the territory, and that this also led to the hostilities of World War One. I supposed I'd heard of the Paris Commune, but its connection to the FP War was very fuzzy in my mind. Well, as I always love about this hobby & podcast project, I'm now learning a lot more. Peeling back another layer of the onion of history, since there are always so many connections to events before & after. The games I'm just getting to, and there are several good ones (large & small) that you may want to explore with me. Books, magazines, podcasts are well underway. Movies...well that's a tough one. In my podcast I forgot to mention Fall of Eagles, a BBC miniseries(?) from the 1970s that includes some of the important diplomatic events. But films that actually cover the war are proving nearly impossible to identify and locate. If you've got suggestions, please let me know. I'm also still looking for more films associated the FP War and Paris Commune as identified on Wikipedia. Remember to follow along & chime in on my geeklist/discussion) for all of my FP War explorations. If you're a wargamer on social media, follow me on Twitter (@WargamesToGo). Feedback is always welcome. While living & working in France I tried to do a couple things with this podcast. One was to focus on topics that were most relevant to my new surroundings. The other was to post smaller shows every month. Well, I succeeded at one of those goals. This episode is long overdue, but it's most assuredly about a French topic: the Hundred Years War fought across much of the country against the Kingdom of England during the years 1337-1453. Over two months ago my assignment in France came to an end, and my wife & I returned to our home in Southern California. It was a wonderful, fantastic experience & opportunity to live over there. I had a day job, sure (one that got pretty intense near the end, which is part of why this episode is late). I had almost all weekends off, though, and we made the most of them. We went on lots of day-trips and a few overnight trips. Lots of them naturally radiated out from Paris where we lived, and that happened to correspond to the "northern theater" for the Hundred Years War. Joan of Arc is a historic figure whose path we crossed more than once. What a perfect topic for an episode! 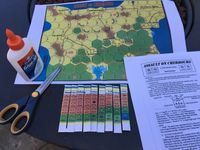 I knew very little about the topic before this exploration, and you know how drawn I am to that aspect of our hobby: learning history through wargames. As always, the episode is a medley of discussions about the historic period, games I played about, books & movies, and famous sites visited. When another expat wargamer coincidentally tweeted that he was also playing the obscure(?) Against The Odds magazine game about the naval battle that opened the war...the same one I had on my table...I asked him to be my interview subject. 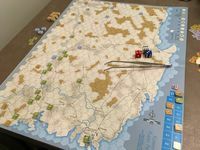 Casey Nedry is an American wargamer living in another country, too, only his country is on the opposite side of the world--Japan. Learning my lesson from the previous episode, I begin this one with a quick summary about the historic event. (In fact, I may later go back to my Spanish Civil War episode and record its own historic intro/overview.) To be honest, I'd feel a little foolish & inadequate doing this about something as well known as the Battle of the Bulge, but perhaps I should try anyway. It's good practice to boil down all of my reading & other research into a few paragraphs, and it helps to catch all of us up to the same understanding. Of course, if you think I've missed something in my overview, please let me know in the comments. The Hundred Years War was a big deal for western civilization. It took place during (perhaps caused) a societal transformation from warlord-like feudal states and limited warfare into the earliest forms of nationalism and professional armies since the Roman era. It's part of what made England England, and it's definitely what made France France! Joan of Arc (or Jeanne d'Arc) is a fascinating historic figure all by herself. I admit to having only a vague notion of her before this topic. I think I understood that she was a real person with real facts about her life, not so legendary as...say...Robin Hood. But I didn't really get how much of the exploits in her brief life were definitely documented. That was an eye-opener. At times it felt like our times in 2016-2017 France were crisscrossing those "The Maid of Orléans" nearly six hundred years earlier. Amazing. P.S. If you want to get started on my next topic, it will be the Franco-Prussian War. Remember to follow along & chime in on my geeklist/discussion) for all of my 100YW explorations. If you're a wargamer on social media, follow me on Twitter (@WargamesToGo). Feedback is always welcome. I've been trying to get these episodes out every month, knowing that it's a bit too much for me. Finally the dam burst in January, making this episode a bit late. I'm still going to keep pushing, in order to fit in as many topics as I can while temporarily living in France. But this may happen again. Originally the topic for January was going to be something else, a location I thought I'd visit around the Christmas holidays. That fell through, which was disappointing. Then my son in his twenties started talking to me about Homage To Catalonia, and the light bulb went on. By shifting my topic to the Spanish Civil War, I could learn about another important European event in world history, as well as have some great conversations with my son about that amazing book's observations. A win-win! The only downside is that my current schedule hasn't allowed me to go visit any of the battlefields or other locations of this period in Spanish history. Perhaps someday. As usual, my ambition for the project outstripped my available time. I've since decided that these monthly topics are going to focus on one film, one book, and one game. I will hopefully go beyond that in most months, but this is a more realistic goal for me. I'll still identify more games on the geeklist, because listeners may wish to hear about other titles. Even better, you may tell me about your experiences playing the ones I;m unable to get to. Most of all, I want to keep up the pattern of featuring an interview in each podcast. I find these really fascinating, and I bet they make for better listening than my voice alone the entire time. Plus, I'm usually able to hear from wargamers who are much more knowledgeable about the current topic. I already knew I had some Spanish followers on Twitter, and in record time they set me up with a joint interview of two Spanish wargame designers--Javier Romero & David Gómez Relloso--with written input from a third (Niko Eskubi, who I promise to have on a future episode, too). You'll hear in the episode that my own explorations of the topic were complicated. I'll avoid the hyperbole of saying that my own country is veering toward fascism now. I don't actually believe that. However, it IS true that recent events have given me more cause to study this subject than ever before. Regardless of our political differences, I'm certain that all Americans want to avoid authoritarianism. We pride ourselves as a country that benefited from a clean slate from which Enlightenment thinkers were able to craft a government. Part & parcel of that Enlightenment founding is an informed population--one that reads, debates, and thinks independently. For my own part, I've felt the need to study the roots of fascism and authoritarianism, to understand why something that ends up so universally abhorred can start slowly and attract followers who simply want more order and a growing economy...but fall victim to false promises and scapegoating. It's been an important topic, as well as one I'm happy to take a break from. I suspect I will return to it later in life. P.S. If you want to get started on my next topic, it will be the Hundred Years War. Remember to follow along & chime in on my geeklist/discussion) for all of my SCW explorations. If you're a wargamer on social media, follow me on Twitter (@WargamesToGo). Feedback is always welcome. When it comes to this podcast, December means two things: a desire to replay the Bulge, and holiday busy-ness. It happens every year. This time, in 2016, I'm just as busy as ever, but the podcast commitment meant I pushed forward to play some Bulge games. Not as many as I would've liked, but enough for the episode. Besides, you've heard how the real focus of my podcasts nowadays are the interviews. I'm learning that the fast, one-month pace I'm keeping for these episodes always compresses my gaming time, but I can still get the podcast out on-time by relying on the interview. It's working. Knowing December would probably not allow me to visit a historic location, I also picked Bulge because it's a place I've visited previously. Back in 2012 I went on a father-son trip before my son went to college, and we visited Bastogne, spent the night in Luxembourg, went to a top Bulge museum, and even saw that cheesy movie. At the time I wasn't doing a wargame podcast, but I included a whole lot about that trip in my longstanding eurogame podcast. You might want to check that out, too. This time, though, I can still talk about another film or two, some light games I've played, and--most of all--feature an interview with designer John Butterfield. In our discussion I had a focus on his famous digital game from Shenandoah/Slitherine called Battle of the Bulge, the one that launched the Crisis in Command series. I've played a ton of it, and have enjoyed jumping back in again. 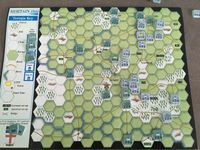 Besides that title, John talks about the Bulge in general, his Enemy Action Ardennes game, and some other stories from his extensive history in the hobby. I know you'll like it. There are a few books I've read on this venerable topic, notably Antony Beevor's Ardennes 1944. Some of the best material I read came from Strategy & Tactics magazine, along with World at War. I learned about the Premium library subscription offered by Decision Games, which lets me access the entire library of SPI/Decision's magazines (no games). Wow! What a goldmine. Along with the article index, I can quickly find which issues contain articles on Bulge/Ardennes, and read those. Danny Parker's extensive articles from 1978 were fantastic. Remember to follow along & chime in on my geeklist/discussion) for all of my Bulge explorations. If you're a wargamer on social media, follow me on Twitter (@WargamesToGo). Feedback is always welcome. P.S. If you want to get started on my next topic, it will be the Spanish Civil War. Dunkirk is a more limited topic than most or all of my previous episodes. I decided to cover it--despite my desire to get away from WW2--because it was a place I visited recently. On a hot, humid weekend in Paris, my wife & I escaped to the coast. Dunkirk was about as far north as we could get, and it allowed exploration of this other key moment in history. We saw the city, visited the museum, and walked the beach. Later I read a book and some magazines, played a few games, and watched a few movies on the topic. As much as I've enjoyed diving in deeply to the Battle of Britain as a topic--and I certainly have--I need to wrap it up and move on. This episode closes the series out with a bang, featuring two great interviews and my final thoughts about some games & films. Lee Brimmicombe-Wood is probably the top wargame designer today who focuses on air combat games, and you'd better believe he's thought about the Battle of Britain. We talk about his Burning Blue, Wing Leader, and historical analysis of the battle itself. Later I talk with James Crate, a listener who helpfully contacted me after my first episode in this Battle of Britain series. James is widely read on the topic, and has many book suggestions for us. Much of his career has been as a Naval Flight Officer, operating weapon systems in the back seat of F/A-18 or other aircraft. He brings a special perspective to wargaming air combat. You may be surprised to hear about his favorite title to play. • Battle of Britain: A Day-by-day Chronicle, 10 July - 31 October 1940 by Patrick Bishop – As it says, gives a half page to a few pages on each day depending on activity. But there are numerous sidebars and asides that cover everything from personalities to tactics to underreported events. There is also a fair helping of brief first person accounts and after action reports of the day described. Fun to read one day at a time starting in July to “follow along” with the Battle. Get it in hard back (nicely illustrated in color). • The Most Dangerous Enemy: A History of the Battle of Britain by Stephen Bungay – Comprehensive, opinionated, well researched. If you read the notes, a great deal of the air combat analysis comes from the works of author Mike Spick whose books on air combat tactics are all recommended. • How the Spitfire Won the Battle of Britain by Dilip Sarkar – The author has an excellent understanding of the Spitfire and her pilots. A great deal of technical and tactical detail including a discussion of Luftwaffe bomber tactics which is under covered in other works. Challenges many assumptions about the share of the workload between the Hurricane and Spitfire. Highly recommended and available on Kindle. Beyond the Battle of Britain, all of Mr. Sarkar’s books on the Spitfire and its pilots are highly recommended. • Invasion, 1940: The Truth About the Battle of Britain and What Stopped Hitler by Derek Robinson - Challenges a lot of the assumptions about the invasion threat in 1940. There is a wide range of opinion on this book from revisionist cash grab to insightful reappraisal. If nothing else he is asking good questions and forcing the reader to reconsider or defend previously held beliefs. Available on Kindle and recommended. • Luftwaffe Fighters and Bombers: The Battle of Britain by Chris Goss – First-hand accounts by numerous Luftwaffe fighter and bomber pilots. A lot of detail from “the other side” not available anywhere else. • Spitfire on my Tail by Ulrich Steinhilper – Ulrich describes his missions as a fighter pilot before and during the Battle until being shot down and captured over England in October 1940. Great insight into the inner workings and organization of a Luftwaffe 109 squadron during 1940. Remember to follow along & chime in on my discussion thread (and geeklist) for all of my Battle of Britain thoughts & explorations. If you're a wargamer on social media, follow me on Twitter (@WargamesToGo). Feedback is always welcome. I'm not sure why I called this episode Adlertag. I guess it's to bookend my discussion & exploration of the Battle of Britain. Last time was just the intro, but by now I've started. Hence, the Eagle Day reference. You can bet that episode 7.3 will be The Hardest Day, and that will be that. It took me so long to get to this one because I've been distracted. I played games, read books, watched movies, and recorded two great interviews that you'll hear. (Plus a third interview I'm saving for 7.3.) And then...I found out I'm moving to France. This is a temporary reassignment for work, a very exciting opportunity for my wife & I (kids are in college, staying here), and it's meant that my free time evaporated due to preparations. Those are mostly finished now, and I had a window of opportunity to finish the recording & editing for this podcast. Whew! I'm super excited to interview designer Ben Knight, who may not have been on anyone else's wargame podcast yet. 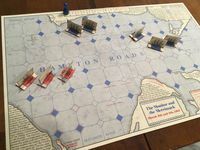 Ben designed a game I discussed in my first Wargames To Go episode, the double-blind game about Across the Potomac. I would've been happy to hear him discuss anything, including that old Command Magazine game, but what I really was after was a talk about his Battle of Britain game, London's Burning. He tells some stories about its development, and I think it provides a window into his approach as a designer. Good stuff. Some day I'll play his Victory at Midway and perhaps I can have him back on the show then. Besides the designer of London's Burning, I interview another fan of the game, my friend Doug Adams. Doug denies he's a wargamer, but I know otherwise. Doug is someone I've known online for 20 years...but we've never met or even spoken to each other before this interview. He's in Australia, and I'm in California (until I'm in France!). P.S. Time to fess up--if my voice sounds funny when I say "Ben Knight," it's because in post-production I kept saying the name of another wargame designer, Ben Hull. Oops! Had to fix that. The recording was made in a variety of settings, some outside, some over dodgy Skype connections. I pieced it all together like Doctor Frankenstein, and I hope the end result is good enough. I thought it was. Time for a new series! I've already started into several games, movies, and books about the Battle of Britain, and this intro podcast will catch you up with my plans. It's an audio version of the discussion thread and geeklist detailing the explorations I'm doing with this topic. Also, up front I wanted to point out that I'll be heading to GMT's warehouse weekend event in a few days. If you'll also be there and listen to my podcast, look me up! At least say high and get yourself a podcast listener button. I'll have them onhand for both of my podcasts. As of this writing, I think I've got games lined up for Wild Blue Yonder, Liberty or Death, War in the Wind, and Fading Glory. I'd love to try Hitler's Reich, and may have already told my friends I'd give Talon a try. Between those plans, and some inevitable fillers, I bet I'm already over-subscribed for the weekend! I'm really looking forward to it. With this episode, I'm wrapping up my exploration of the opening of WW2 in the Pacific. What started with Pearl Harbor and a vacation to Hawaii expanded into an education via games, films, and books about the many offensives launched by Imperial Japan on that fateful day. Then I go on to discuss a bunch of games I played on these topics, followed by movies, books, and even some sites visited. Here's that new idea I was talking about--the first of smaller episodes that get released as I go on my exploration of a topic. Not much in the way of links & notes, as you can find those in the discussion thread and geeklist, above. I'm still figuring out how, exactly, I want to do this new format. Feedback is always welcome. Hey! I'll be at BGG.con. Look me up at the Wargamer Meet & Greet on Wednesday night. 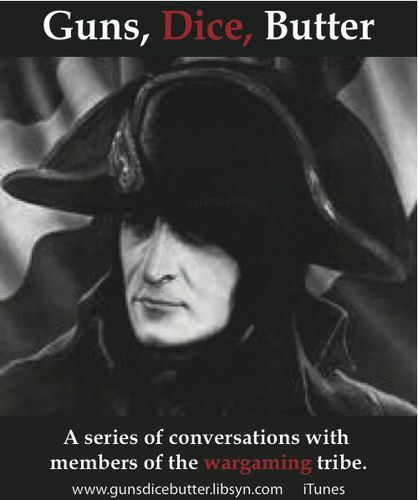 Or join me in a game of Waterloo 200 on Friday morning! Maybe now I'm getting the hang of this, not biting off more than I can chew for the the next episode. Might be fewer films & games discussed here, though then again maybe that's not true. Regardless, this episode didn't swamp me as much as other "recent" ones have. Getting one of those episodes out every few months would work well with me, because that's about the pace that I want to explore new topics in military history. This time I'm digging into another historical anniversary--the bicentennial of Waterloo. That happened earlier this summer, on June 18. I'd played a few Waterloo titles already, and more came after that date. I saw some films/docs, and found others. I listened to a couple audiobooks, read magazine & Wikipedia articles, and flipped through some library books. I also interviewed some gamers. Three of them, in fact, and I think you'll enjoy their stories. I've participated in some wargame anniversaries before, but this one was different. It seemed to me there was more participation by wargamers around the world. Very fun to be a part of that! It was through reading interesting reports & opinions from other anniversary wargamers that led to these interviews. Andrew Hobley played a BUNCH of Napoleonic wargames on their bicentennials, so Waterloo was the culmination of his experience. You may have seen his fantastic session reports here on BGG. Pete Belli is an active hobbyist that a lot of people know. He's been playing for a long while, and has worked on many of his own designs, too, including One-Minute Waterloo. That's no joke--one minute. The design goal & process is interesting. 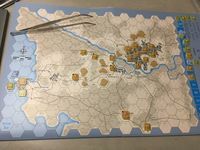 Finally, Paul Comben has posted detailed analyses of several Waterloo titles over on The Boardgaming Way and The Boardgaming Life (two similar-sounding sites that are actually distinct). He shares some of his observations. P.S. Here's what's coming up next on Wargames To Go: games, films, and books about the events of December, 1941 in the Pacific! That means Pearl Harbor, the Philippines, Wake Island, and Force Z. Check out my geeklist for notes. I sort of did it to myself again, aspiring to play more games and learn more about the subject matter of this episode. I swear I'm getting calibrated on myself, though, and have big plans to think smaller next time. Historic anniversaries in wargaming are appealing to me, because the occasion often leads to the some of hobby community focusing on the same topic. It gets discussed online, good games are suggested, and sometimes there are even new books & documentaries that become available. That was certainly true for 2014's centennial of the start of World War 1. I jumped in, finally reading Barbara Tuchman's famous Guns of August (well, it was an unabridged audiobook), listening to podcasts, watching several dramatic films & documentaries, and playing several wargames. Plus, I was lucky enough to visit some of these battlegrounds on a vacation last summer, which I discuss at the end. When wargamers think of WW1, they probably think of designer Ted Raicer and his many games on the subject. Although Ted's games are typically much larger than the small ones I prefer personally, I still had to try at least one of Ted's games. Even better, Ted was willing to be interviewed for my podcast! We talk about the hobby, but what I really wanted from him was his insight as a historian about The Great War. I can't speak highly enough about The Guns of August. It's a Pulitzer-winning classic of history and literature for a reason. It's that good. I certainly thought so, anyway. It taught me a lot about this period in history. So did Joe Miranda's companion magazine article in Strategy & Tactics to his game, Reinforce the Right! 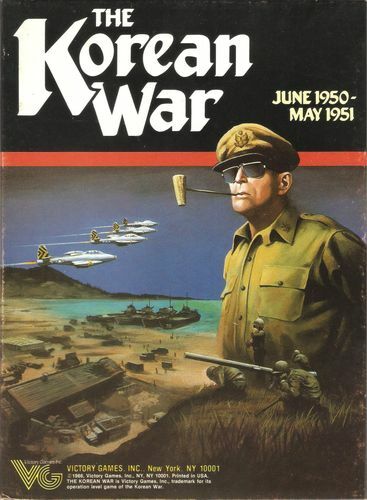 I really appreciate the connection between wargame and history that is most exemplified in our hobby's magazine articles. Besides the dramatic films, there were three outstanding documentaries I viewed, as well. The Guns of August was a doc I never knew existed as a companion to the book. The other two were outstanding works from BBC. As for the games I played, they're mostly smaller offerings. That's always my preference, and was easy to find more than enough games to choose from. Too many, in fact. Before and during my "research phase" I used a geeklist to list & comment on the games I played, or why I wasn't getting to some others. 0:00 - My intro, poll results, BGG.con attendance, etc. Ok, I bit off more than I can chew. I've been doing my other podcast for nearly a decade, and those listeners know I've occasionally had a long hiatus between episodes while life intervened (work, kids, whatever). That's true about the gap between WGTG 2 and this new episode, but there's something else, too. I'd turned the episode into a giant project for myself. It felt like I was writing a term paper. That's because the subject of wargaming is so deep, so worthy of study & analysis. However, I also want to get the episodes out in a more timely manner (quarterly, let's say), so I need to set my sights a little lower. I'm learning. Although I initially thought I didn't own any games on this subject, I did have a couple on the shelf, acquired several more, and played another via VASSAL. That took some time, but is what I wanted to do in order to learn. I also did some reading, but that was primarily Wikipedia & skimming a library book. I watched the dramatic film Cromwell, and several documentaries available on YouTube (see Links, below). Best of all, I managed to score two interviews with game designers on these (& other) topics. This episode includes a written interview with Roberto Chiavini, and an extended audio interview with Charles Vasey. The latter is the wonderful centerpiece of this episode. Plus, I always want to include some brief comments about my earlier poll, the other (non-ECW) wargames I've played, and upcoming plans. So, you see? I managed to stuff a WHOLE LOT into this episode. Too much, probably. But as I say, I'm getting the hang of what I want to do with WGTG. Episode 4 will be smaller in scope, and quicker to publication, a promise I'm making to you & me both! The games I played were Unhappy King Charles! , Winceby, Fairfax's Revenge: the battle of Langport 1645, Naseby: The End of a Reign, Cromwell's Victory: The Battle of Marston Moor, and Cruel Necessity. So you see that I have two strategic level games and three battle games (grand tactical level, I suppose). Along the way, that touches five game systems (CDGs, Markham's Royalists & Roundheads, Roberto Chiovani's TCS, SPI's 30YQ Quad, and States of Siege). Even at that, I'm obviously missing a major series of games on this topic, Ben Hull/GMT's Musket & Pike game, This Accursed Civil War. Under the circumstances, I thought it best to get into the Vasey interview right away, since that's the centerpiece of this episode. Charles Vasey is someone I've observed with quite a bit of interest for a long while. His game design paradigm is notably different from most designers, and from most of the games I play, frankly. If you haven't read any of Charles' writings about chaos in (war)gaming, you absolutely should. Fascinating. Of course I wanted to interview Charles about his card-driven strategic level English Civil War game, Unhappy King Charles! . However, we also spoke about the history more generally, as well as Charles' other games such as The King's War, Chariot Lords, The 2010 Election, and Tsushima. Plus The Flowers of the Forest, one of his earlier games that was recently given a nice, new edition in Battles magazine. Since it took me so long to get this episode out, a few other wargames NOT related to the ECW worked their way onto my table during this same time. 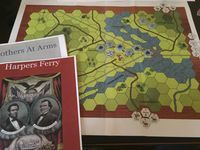 There's Vasey's The Flowers of the Forest, but also Martin Wallace's euro-wargame hybrid Gettysburg (not much of a euro, as I'll discuss), Monitor vs Merrimack: Battle of Hampton Roads, 1862, Caesar XL,and Salvo!. Well, shoot, that was a longer interval than I'd planned. But here, finally, is the second episode of my wargame podcast. As before, the episode features me talking about broader topics in the first half, then transitioning to discussion about individual titles in the second. In between I've got an interview with wargame designer Darin Leviloff, too. The focus of the episode are the [url=http://boardgamegeek.com/boardgamefamily/3245/victory-point-games-states-of-siege-series]States of Siege[/url] family of solitaire games published by [company=8007]Victory Point Games[/company]. In all of these the player is assaulted from multiple sides, and can't really maneuver. Instead, you fight off the attackers as long as possible. The system has been used for subjects ranging from Imperial Japan in WW2 to a zombie horde to the French Revolution. Though they are simple and abstract (some would argue whether they're wargames at all--I say they are), the card-driven play presents a narrative that is fantastic for learning about the subject. I'm eagerly looking forward to another in this series about the English Civil War. Speaking of the ECW, that will probably be the focus of my next episode. I'm very interested in the topic right now, having my imagination fired by Mike Duncan's excellent podcast [url=http://www.revolutionspodcast.com/]Revolutions[/url]. Along those lines, I also describe other subjects I'm considering for upcoming podcasts. I welcome your feedback. And speaking of feedback, I received some good emails that I share on this episode. That's something I've done from time to time on my other podcast, [url=http://www.boardgamegeek.com/blog/1215]Boardgames To Go[/url]. I think of it as the "letters" column you'd often find in a wargame magazine or newsletter. Since some of the feedback asks a question, you can hear my answer and suggest something else to the person who wrote in. The first episode of my first podcast about smaller wargames, I spend some time introducing myself and my wargame interests, then proceed to cover three different games about the battle of Gettysburg.